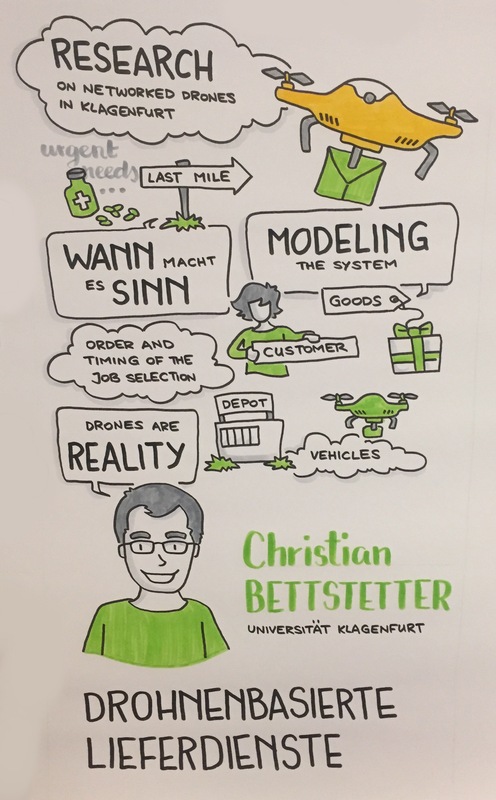 “We are analyzing a system in which customers order goods that are stored in depots and the subsequent deliveries are made by drones,” Christian Bettstetter explains. “These queries occur randomly in terms of time and space. The transport units execute these queries and deliver the desired goods to the customer.” As far as the system intelligence is concerned, researchers have to ask themselves: Which customer should be served next? Which drone will serve the next customer? Which depot should the goods be retrieved from? 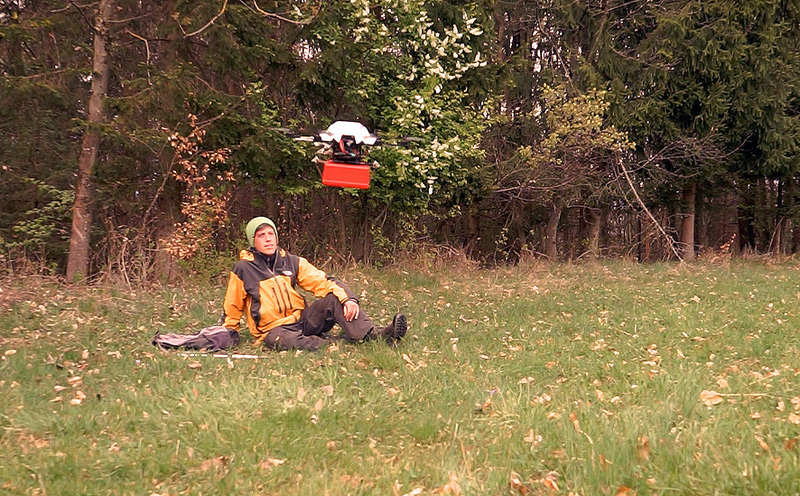 What do the drones do while there are no orders pending? Based on these questions addressing the automated allocation of tasks in a drone network, the research team has developed various scenarios, calculating their respective impact on the performance capacity of the system. The results reveal the following: Whenever the oldest query is dealt with next (first job first), there is a risk that the system could be rendered unstable, if even a single transport unit fails. However, if the query located closest is chosen as a matter of course (nearest job first), this type of threshold effect is only encountered in a few scenarios. Furthermore, a nearest job first policy is very suitable for distributed implementation, allowing each transport unit to decide independently, which query to execute next, and thus increasing the degree of autonomy so that it extends beyond the scope of merely flying autonomously. While the precise point in time of the task allocation has a significant impact on delivery time and system stability in the case of first job first, it is entirely irrelevant for nearest job first. Working with these results, the team can now present a method for scaling a drone-based delivery service, which companies can apply when planning their systems. “We consider the expenditures in relation to the expected delivery time. To do this, we account for the number of depots (long-term investment), the number of drones (medium-term investment), and the type of job selection used (can be modified at short notice),” Friederike Wall (Department of Management Control and Strategic Management) expounds. Working closely with Lakeside Labs GmbH, she headed the project together with Christian Bettstetter, which was funded by the Carinthian Economic Promotion Fund (KWF). Doris Behrens, her post-doctoral colleague, was also part of the research team. In Proc. 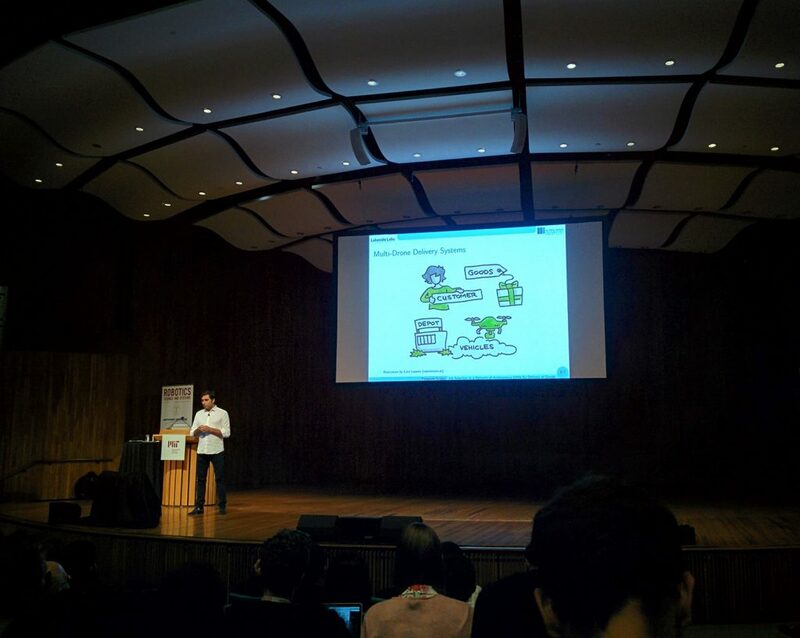 Robotics: Science and Systems, MIT, Cambridge, MA, USA, July 2017. This post was originally published as a press release of the University of Klagenfurt in a slightly modified and extended form on July 12, 2017. It was written by Romy Müller and the authors of the above paper. A German version of the press release, called “Effizient und intelligent: So können Drohnen die Zustellung von Gütern planen“, is also available.